Vin-Teri Electric can accomidate all your residential electrical needs. With strong national electrical code (NEC) knowledge, experience with local ordinances and inspectors you can be confident that your electrical needs will be done correctly. 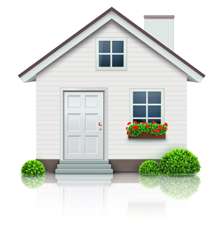 Having electrical problems in your home? We offer quick and accurate troubleshooting of problems. 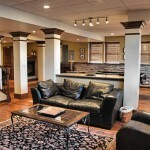 Looking for a unique look in your new construction or remodel? With custom lighting design and installation experience we are able to give your rooms the wow factor you are looking for. No matter what your home needs are Vin-Teri Electric can provide the solutions. 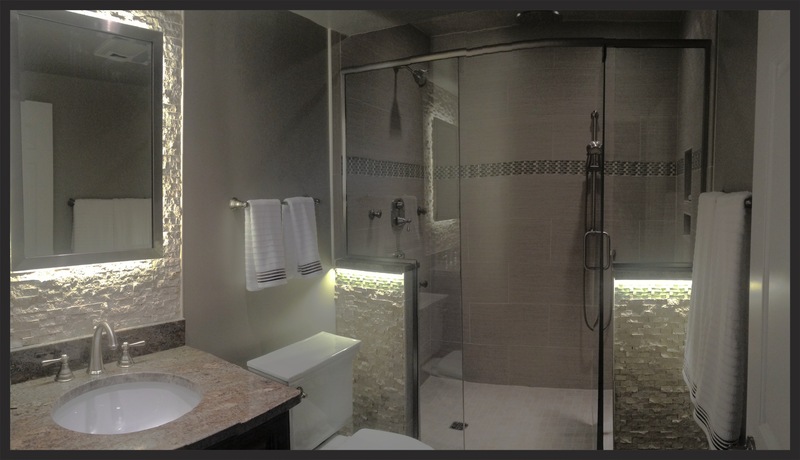 In this project the home owner located in the western suburbs of Chicago was looking for a way to make their bathroom stand out. Vin-Teri Electric did all the lighting and GFI work in the bathroom. 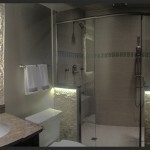 Our technicians also installed the LED lighting around the mirror and under the shower ledges. This lighting effect provides depth to the accents as well as casting light patterns across the natural stone. Let Vin-Teri Electric assist with any of your creative lighting needs. This is a project that Vin-Teri Electric performed for a client in North Aurora. 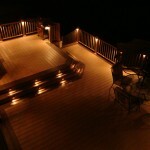 The project focused on a new deck and the lighting for the post and stairs. It was completed all with low voltage lighting to keep electrical usage low temperatures down. The project was completed over two days time. All coordination with the deck builders was handled by Vin-Teri Electric to ease the home owners stress. 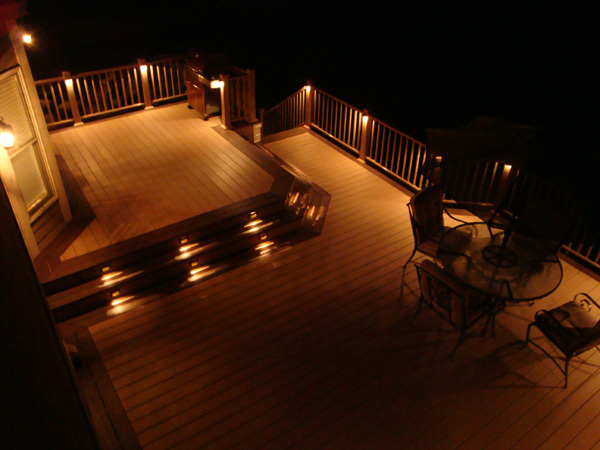 Stair and post rail lighting can be installed at any time in an outdoor project but its always best to plan ahead if you are building a new deck. Other outdoor lighting ideas include landscaping and fence lighting. Located in the west suburbs of Chicago Illinois Vin-Teri Electric designed and engineered the power and lighting layout for this custom basement remodel. With the installation of recessed lighting and a controlled lighting systems the owner was able to set the ambiance for parties or relaxation. 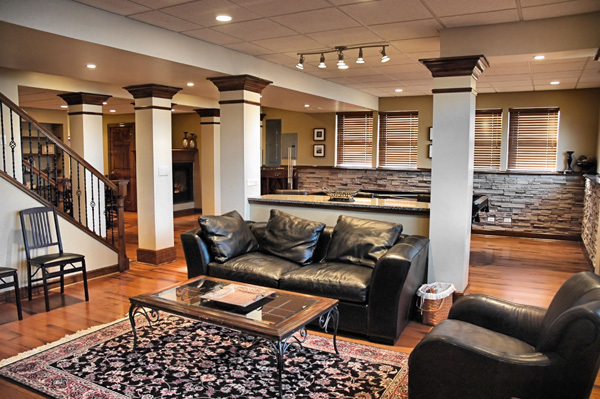 Vin-Teri can assist with all your remodeling needs from small upgrades to complete remodels.